New MacBook Pros seemed like a no-brainer for WWDC. Like the rest of the company’s hardware line, however, they were a no-show. Sure, Apple used the opportunity to reaffirm its commitment to creative professionals — perhaps most notably in the form of some key macOS updates — but there were no new devices available to take advantage of those new features. The company is addressing that today with its first major hardware release since its big developer conference. Like Mojave, updates to the 13- and 15-inch MacBook Pro models with Touch Bars find the company tipping its hats to creative pros, a key demo long understood to be the core to Apple’s user base. Nothing has changed on the outside. The new Pros are indistinguishable from last year’s model. As is the case with a majority of updates to the line, all of the really important stuff is happening inside. And these are, indeed, formidable machines. You get a six-core Intel Core i7 or i9 on the bigger machine, backed with up to 4TB of storage and up to 32GB of memory — the latter of which required the company to upgrade from DDR3 to DDR4 memory. That move means a hit to battery life, so the company boosted the battery by an additional 7.7 watt hours. For most users that should mean around the same battery life they would have gotten with the last generation. The 13-inch with Touch Bar gets a similar treatment, bumping up to a quad-core i5 or i7 and up to 2TB of SSD storage. Apple says it’s still committed to the version without the Touch Bar, but it’s going to have to sit out this round of updates, for the time being. In case there was any doubt who Apple might be going after with these new models, the company introduced us tech writers to a number of creative pros, whose work runs the gamut from micro neurology (UCSF professor Saul Katoto) to performance art (Aaron Axelrod) to gigapixel imagery (Lucas Gilman). If nothing else, it’s a reminder of just how many fields the admittedly generic “creative professional” tag touches — and why it’s such an important market, both in terms of cache and reach. It’s a drop in the bucket compared to the overall PC market (around 15 percent by the company’s estimates), but these people are influencers, a title that extends beyond just their output. 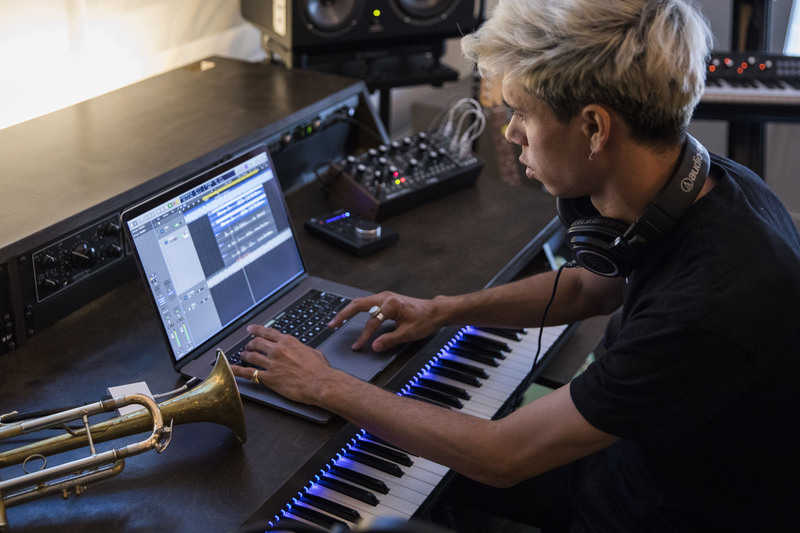 For every prominent EDM producer (Oak Felder) or music video director (Carlos Perez), there are countless budding artists looking for the right tools for the trade. Apple had the category on virtual lock for decades, but recent years left some wondering whether the company had begun to take those users for granted. Between simplistic updates to popular platforms like Final Cut and the aimlessness of the Mac Pro line signaled to some devotees that the company had perhaps become complacent, opening up a potential vacuum that Microsoft was more than happy to attempt to fill with its Surface line. Last year, however, the company took a stand. In April, it offered a rare peek behind its infamously impenetrable curtain, with a refreshing candid conversation about the Mac Pro line. The company offered an uncharacteristic apology for pausing production to “completely rethin[k]” the desktop, according to Phil Schiller. In its stead, the company announced the iMac Pro, a “love letter to developers,” in the words of our video producer, Veanne, who was understandably bummed to return our review unit. The all-in-one was less of a consolatory gesture than it initially appeared. It was a truly formidable powerhouse in a familiar form factor. And while the company continued fiddling with the aforementioned Mac Pro reset button, it remained the sole representative of Apple’s new offensive. The new MacBook Pros are intended to be the next piece in that puzzle, inheriting a number of features that debuted in that space-gray iMac. Chief among them is the T2 — a proprietary chip designed to supplement some of the heavy lifting done by Intel’s silicon. The list of jobs managed by the chip is a pretty long one, including everything from audio systems and disk drives to improved tone mapping and face detection in FaceTime. 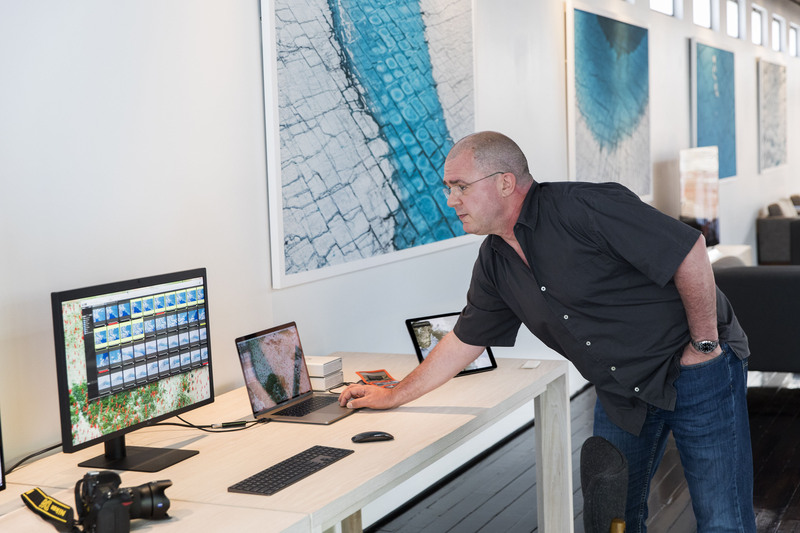 T2 also makes iMac Pro even more secure, thanks to a Secure Enclave coprocessor that provides the foundation for new encrypted storage and secure boot capabilities. The data on your SSD is encrypted using dedicated AES hardware with no effect on the SSD’s performance, while keeping the Intel Xeon processor free for your compute tasks. And secure boot ensures that the lowest levels of software aren’t tampered with and that only operating system software trusted by Apple loads at startup. Interestingly, Apple’s putting it to even more use here, enabling “hey Siri” on macOS for the first time. It’s an optional addition that you can enable during the setup process, but once it’s on, it will work like any Siri-enabled device, working in tandem with the iPhone and HomePod and giving preference to the microphone in closest proximity. It’s similar to desktop implementations of assistants like Cortana and the Pixelbook’s use of Google Assistant. True Tone, meanwhile, was borrowed from another source entirely. That one debuted on the iPad back in 2016, bringing with it an automatic temperature adjustment, based on ambient surroundings. Given how aggressively the company has gone after photo and video editors, it’s honestly a bit surprising that the company didn’t embrace the technology earlier for the desktop. It’s one of those features that doesn’t seem particularly important until you use it. Once you’ve got it, however, you wonder how you managed to go so long without it. Really though, it’s those performance boosts that Apple’s small army of creative pros kept touting over and over at this week’s event. The phrase “cuts the time in half” was the most common phrase bandied about, whether it was the trio of developers (Leah Culver, Akshaya Dinesh and John Ciocca), running simulations of iOS apps or University of Utah Assistant Professor Janet Iwasa rendering complex animated representations of molecular biology. For Apple, all of this is designed to make a broader point that such complex tasks no longer require that a professional be tethered to a work station. It’s an enticing concept. Over the past decade, smartphones have liberated a number of tasks (the question of how they’ve simultaneously tethered us is one for another day), so it only makes sense that we’d ask similar things of our PCs. 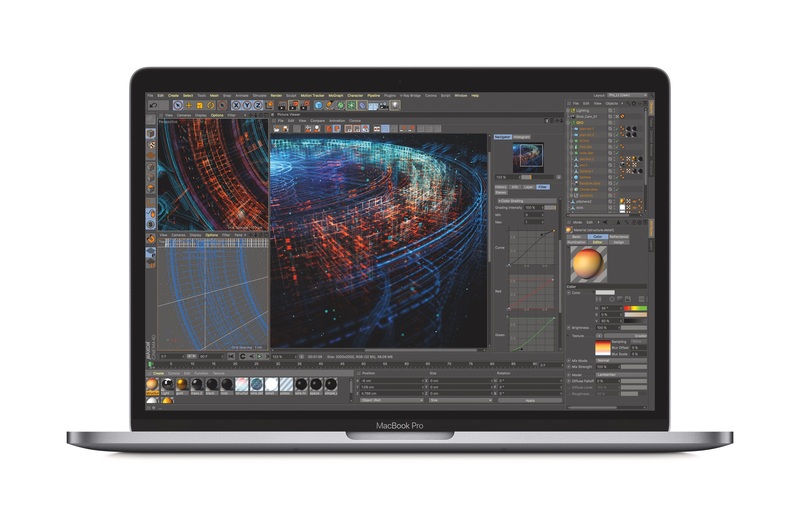 Of course, for a number of pros, the laptop still won’t replace the processing power of a high-end workstation, but the leaps it made in portable computing over the past several generations is certainly impressive, and the new MacBook Pros are nothing if not formidable machines. 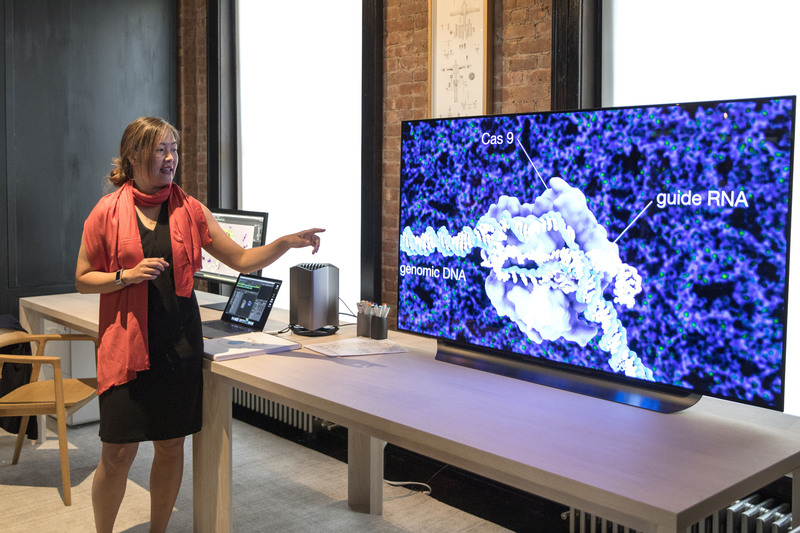 Their ability to support two 5K displays and an external GPU through Thunderbolt 3, meanwhile, delivers the promise of modularity. Many of the aforementioned creative types praised the ability to plug and play into a desktop for all of the heavy lifting and tossing the system in a backpack to have it by their side when inspiration strikes. The 13- and 15-inch models go on sale today, starting at $1,799 and $2,399, respectively.